This weekend, from Friday, March 22 to Sunday, March 24, features a Mr. Sparkle Art Show, the Puppies and Planks Festival, the Santa Monica Airport ArtWalk, the L.A. Marathon, and MUCH more. 1. The Egg House visits Los Angeles March 20 through April 28 for an egg-themed, 12,000-square-foot pop-up multi-sensory experience showcasing a series of installations and activations around egg themed creations. 2. Rooftop Cinema Club returns to the rooftops of LEVEL in DTLA and NeueHouse in Hollywood with multiple screenings this week that include Bohemian Rhapsody: Sing-along, A Star is Born and more. 3. Eataly Los Angeles’ first-ever Restaurant Fest (March 18-31) will highlight Italian spring time cuisine through two-course prix fixe menus from all three restaurants inside the complex. Available during lunch and dinner, prices range from $18-28 and select wines will be priced at just $25 a bottle for the occasion. 4. Walt Disney Concert Hall presents BREATHEWATCHLISTENTOUCH: The Work and Music of Yoko Ono. Guests will experience Ono’s art and music performed by an ensemble of special guests in celebration of her sixty-plus-year career. 5. The Institute of Culinary Education is now offering recreational classes in their professional kitchens. The kick off class will teach guests how to make fresh handmade pasta and a variety of sauces. 7. Amoeba Music in Hollywood welcomes Jenny Lewis for a signing and performance of her new album. 8. Grand Central Market hosts Friday Night Flights every Friday starting at noon. The special includes a flight of drinks or bites from GCM vendors and a round trip ticket on the historic Angels Flight Railway right across the street for $15. 9. PaleyFest returns to the Dolby Theatre March 15 – 24 for a 10-day television festival featuring stars and creators from some of your favorite TV shows. PaleyFest is a culmination of screenings, panel discussions, Q&A’s and behind-the-scenes looks of a variety of TV shows you know and love. 10. 4th Fridays on 4th Street activates the “Retro Road” business district in Long Beach on the fourth Friday of every month from 6 to 9 p.m. through extended hours, dining specials, discounted merchandise, pop up shops, art shows, live music, trolly rides and more. 11. 260LA will host a STAUD sample sale from March 19-24 in their Beverly Hills location. 12. Desert X returns for its bi-annual public art show February 9 through April 21. Spread throughout the Coachella Valley in various locations, artists are commissioned to use the desert landscape as their canvas with breathtaking results. 14. Puppies & Planks Festival comes to Los Angeles State Historic Park for an afternoon workout experience that’s inclusive to our canine friends. That’s right this event is BYOD (bring your own dog) there will be plenty of dog-friendly activities including a 3K Dog Walk, ‘Ruff Yoga’ with Crunch Fitness, and special treats from Petco at the Dog Carnival. 15. The fifth annual Vegan Street Fair Los Angeles returns to North Hollywood March 23 – 24 with an array of vegan-friendly eats from over 200 vendors. 18. This Saturday might be the last time Royce’s Arcade Warehouse will host an open house. The arcade charges $5 for an all day free play pass and is a popular weekend event for children and adults. The retro arcade is working on staying open in the future but facing regulatory issues with the city that will result in a temporary shutdown of the space. 20. Norton Simon Museum will host a botanical scent workshop inspired by Impressionist and Post-Impressionist paintings in the galleries. 21. The Annual Claremont Pie Festival returns to the Claremont Village featuring a pie baking contest, a pie eating contest, a pie tasting buffet, artisan vendors, a classic car show, a retro fashion show and more. 22. The Broad presents Art & Politics: Soul of a Nation Symposium a day of compelling conversations, artist talks and poetry by artists featured in The Broads latest exhibition Soul of a Nation, as well as renowned art historians and curators. 23. The Stoli Key West Cocktail Classic, the world’s largest LGBT bartender competition and show takes over The Abbey Food and Bar this Saturday. The first 100 people (with a rsvp) to check in at 4 p.m. get to try every cocktail. 24. Take a lovely guided walk through Descanso Gardens and learn about cherry blossoms and other seasonal spring blooms. No registrations are required. Walks take place Saturdays and Sundays at 11 a.m. and 1 p.m.
26. The Santa Monica Conservancy hosts a Downtown Walking Tour uncovering the history of the area and its architectural gems. 28. 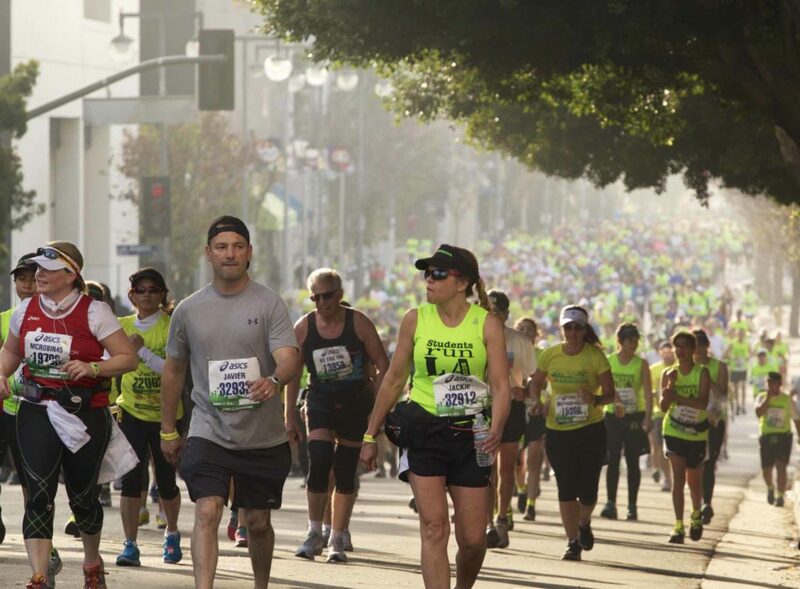 The Los Angeles Marathon is back on Sunday for another year gathering over 24,000 athletes from all over the country and more than 63 countries for one epic run. Cheer on runners as they compete, or at least be aware of the accompanying street closures. 31. India Sweets & Spices will host their bi-annual Free Food Event in celebration of the popular market and cafes 30 years in business. 32. Hollywood Heritage Museum presents Afternoon@TheBarn. The program this month will center around American Designer Adrian Adolph Greenburg who designed the ruby red slippers in The Wizard of Oz. 33. The Tonga Hut in North Hollywood will host a Tiki parking lot sale and art show this Sunday starting at noon. 34. Dreamscape Immersive, the latest contender in location-based virtual reality, has opened in the Westfield Century City mall with three unique adventures that include an alien zoo, a deep ocean dive and an action packed adventure to find a powerful jewel. Open seven days a week. 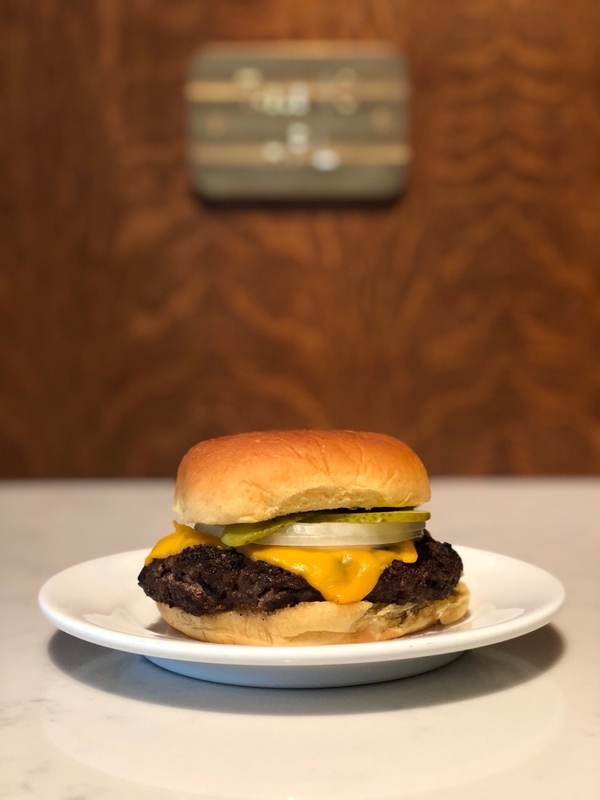 Adam Perry Lang’s APL Restaurant recently debuted ‘The Burger’, a 150+ day dry aged beef burger topped with American cheese, white onion, pickles, and mustard aioli, served on a potato bun. The burger cost $18 and limited quantities are available each night.